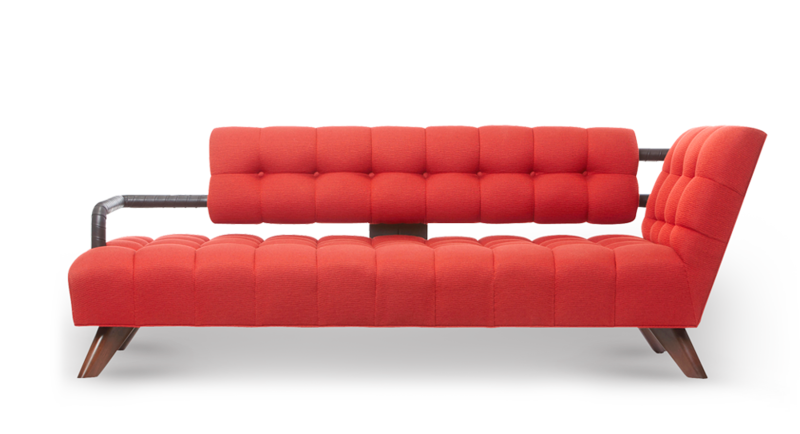 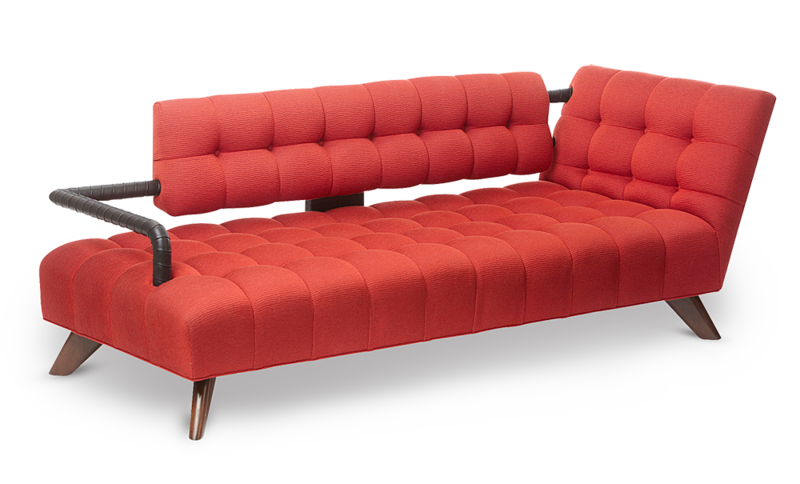 Slide into 1950's pure modernism with the new Valentine Sofa. 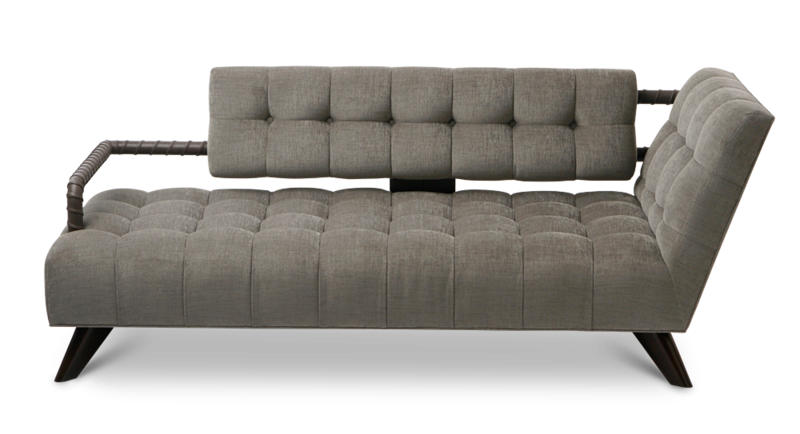 Sleek low tufted seat, with left or right arm wrapped in leather. 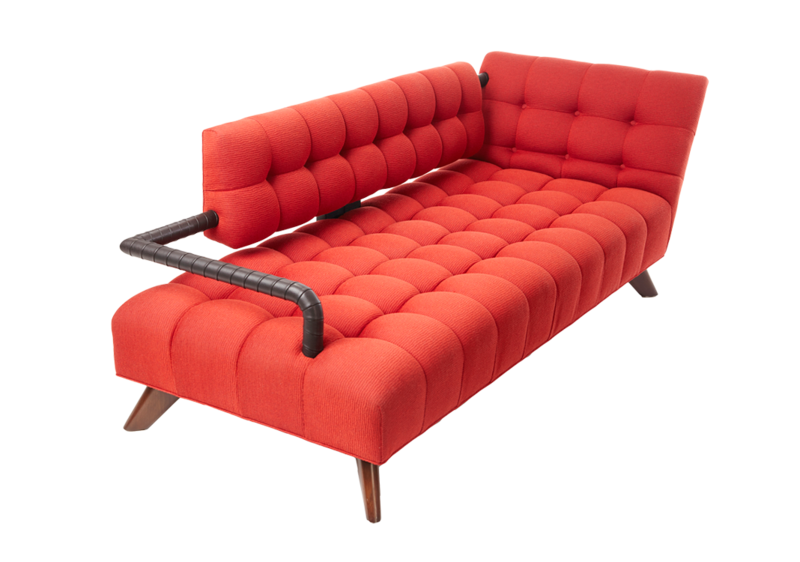 A William Haines California original design, introduced in 1950. 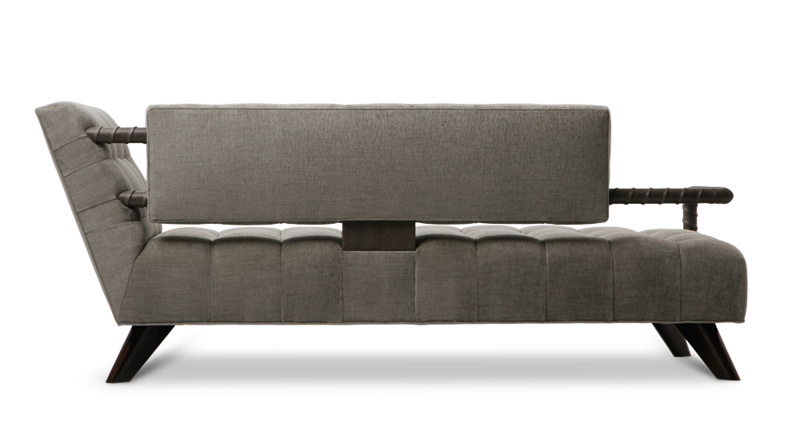 34" D x 84" L x 31" H.